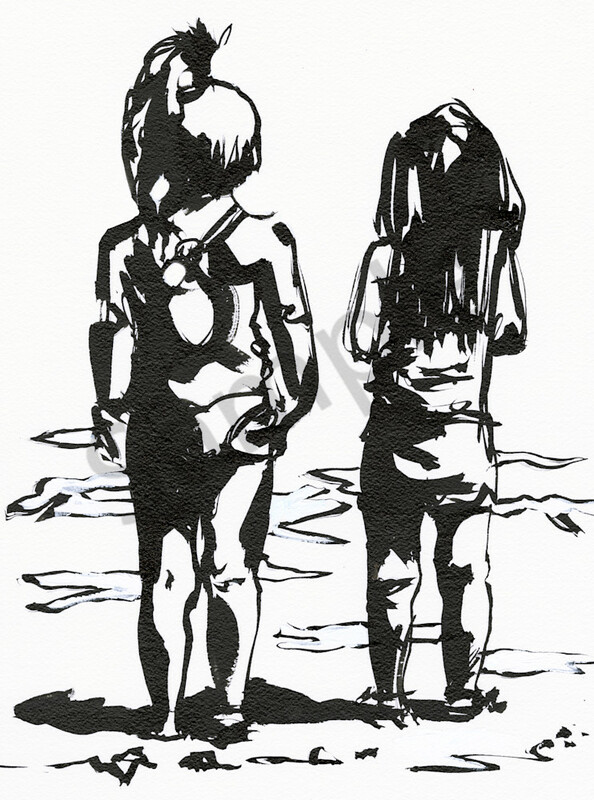 Artwork: Two girls standing on the beach looking out over sea. I saw these girls at the beach one day and they were adorable. Clearly good friends and very cute. 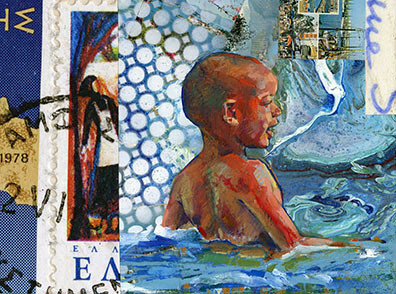 The painting is created on paper with ink and brush.